Just three days after getting sick, Charlie was rushed to the emergency room at San Mateo County Medical Center and died that same night. 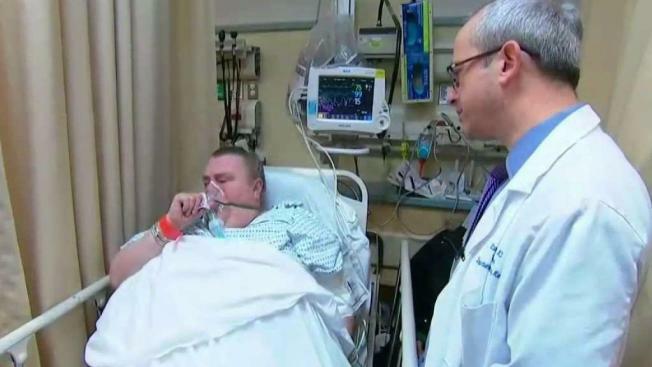 Another Bay Area resident has died days after being diagnosed with the flu. Juliette Cody, the wife of San Mateo resident, Charlie Cody, shared the story of her husband in hopes that people will take the deadly flu season seriously. “You can ask anybody who knew him, he was the star, just a big star,” said Cody about her late husband. On Christmas day, Charlie, 54, began coughing but decided to drive to Benicia to spend the holiday with his family, but symptoms quickly got worse. Cody is one of 127 deadly California flu cases this year. Hospitals like John Muir in Concord are seeing about 400 patients a day since the flu struck the Bay Area. In the last week, at least six people have died from the flu in the Bay Area.